Teresa Cline is a patient, caring, knowledgeable and highly professional real estate agent who is dedicated to providing her clients with the utmost service and respect. As a former United States Army Officer, Teresa knows the stresses of relocating on a moment's notice and specializes in working with active or inactive military personneland their families. 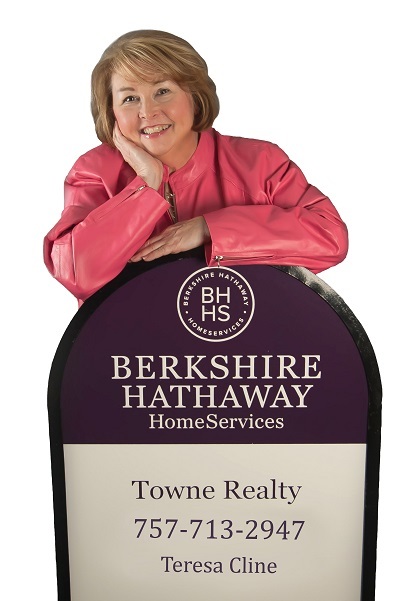 She also enjoys assisting move-up buyers, relocating clients as well as first-time homebuyers. Teresa has been a resident of the area since 1993. Teresa has worked hard to educate herself on the business, earning her designations as a Graduate, Realtor Institute (GRI), an Accredited Buyer Representation (ABR) and Senior Real Estate Specialist (SRES). Her love for the industry, passion for working with people and dedication to finding the right property at the right price has resulted in a high rate of repeat and referral business. Teresa is active in the community, serving in a number of organizations including the Lions Club and the Civitans Club.